Welcome to Nijmegen: Summer Capital of Holland! 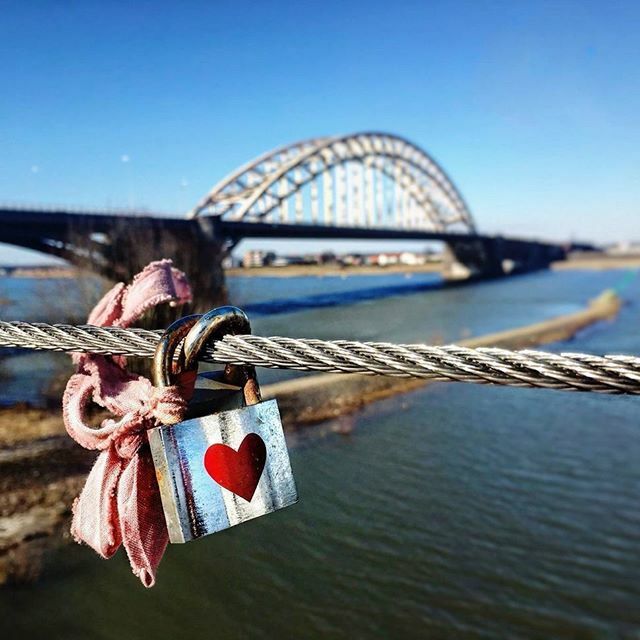 Nijmegen is one of the largest student cities in the Netherlands. With 40,000 national and international students, there’s always a party going on somewhere. As in the rest of the Netherlands, most people speak English. If you want to join us, please do so! You can stay at a campsite in the area, a hostel in the city centre or enjoy a more luxurious stay at one of the many hotels. Anything is possible for anyone, from backpackers to young travellers and explorers from the Netherlands, Europe, and the rest of the world! This amazing city will not disappoint you! Nijmegen is an average medium-sized city, with churches, high-street shops and several hotels. But there’s more to this city than meets the eye. 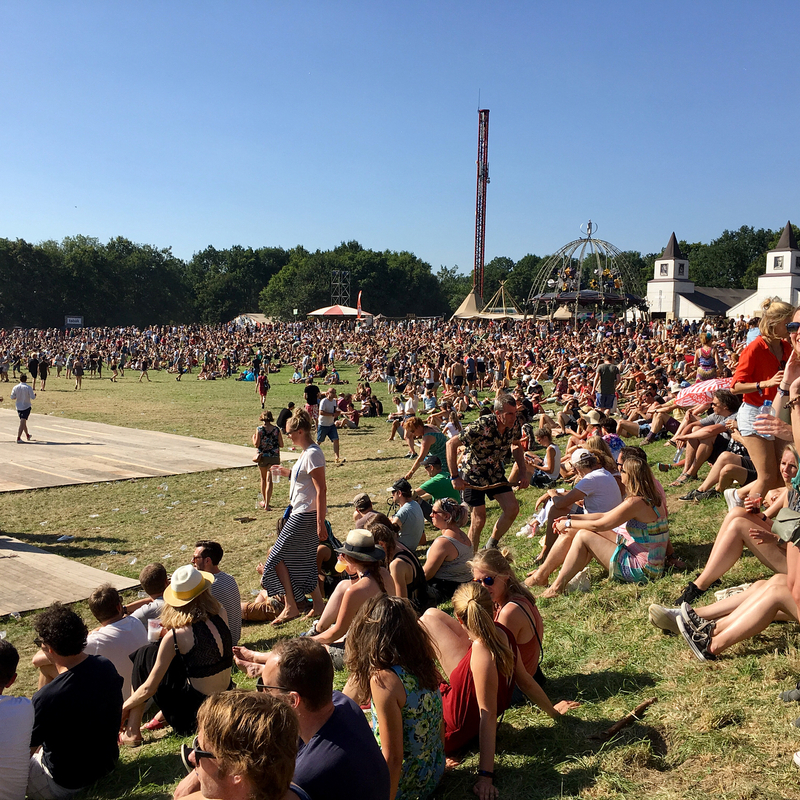 The many events each year, the rich gay history and culture, the green areas around the city (Nijmegen’s back garden) and the Honigcomplex all make Nijmegen the city it is today. 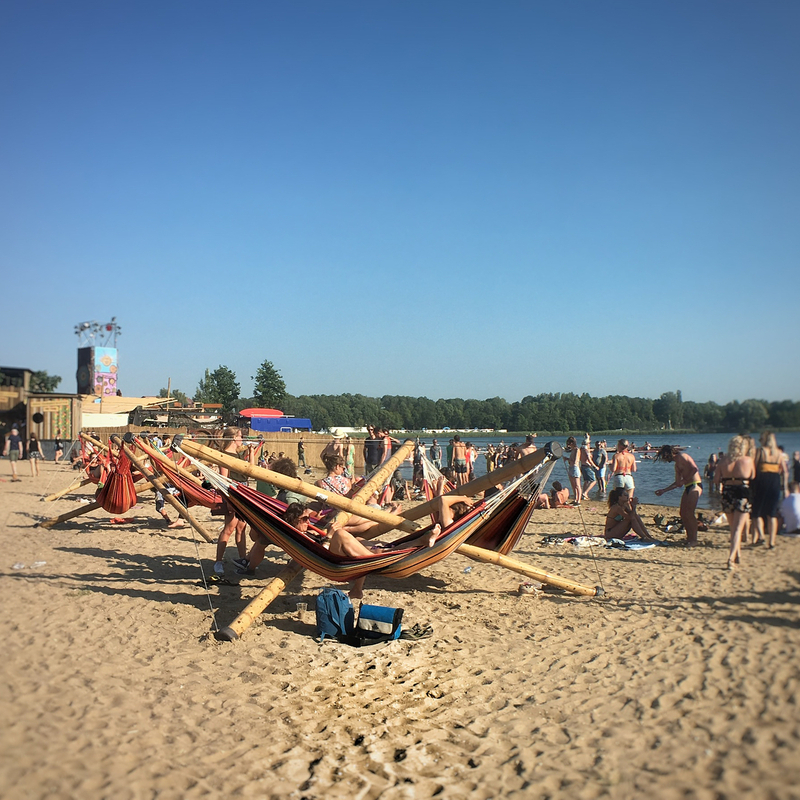 Go and see a concert at Doornroosje or in the Goffertpark, or simply chill out at one of the beaches on the city’s island. 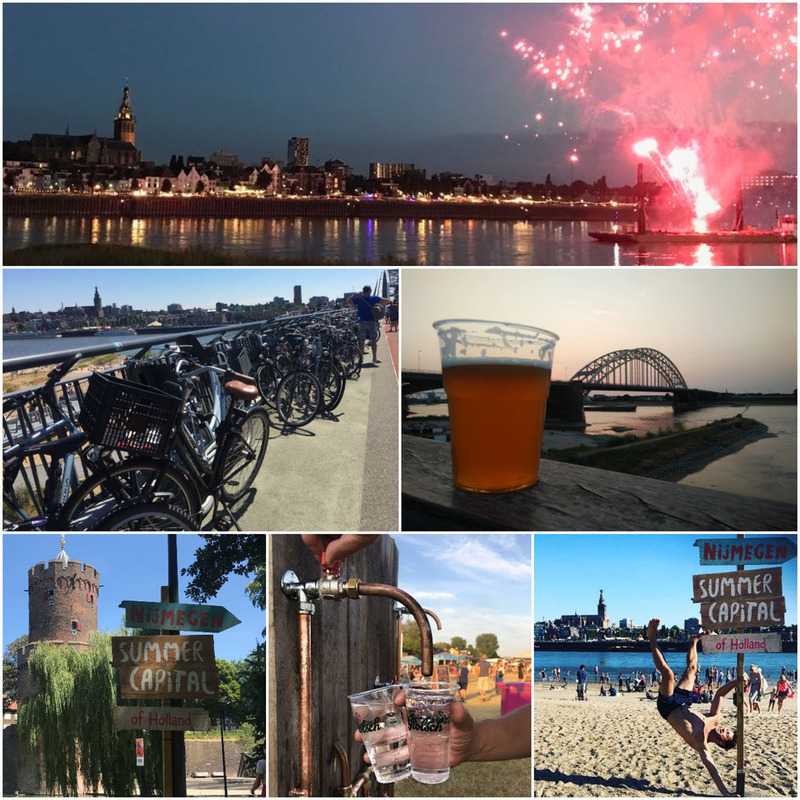 Take a trip to the Ooijpolder to discover its nature and see the wild horses and cows, go for a swim or have a BBQ with the locals or the many students in Nijmegen. Afterwards, put on your sunglasses and flip-flops and visit one of Nijmegen’s many pavement cafes for food and drinks. To round off a perfect day, why not try out the nightlife? Just outside Nijmegen, in Beek-Ubbergen, you can see miniature landscapes at the “Vereniging Nederlands Cultuurlandschap” museum. Walk through a green tunnel hedge and explore the south west of England – also known as the “garden of Europe”. Then go through a gate to discover another ten miniature landscapes, depicting typical Dutch landscapes that you can still see today. They’re just as beautiful as those of many other countries and they’re even more varied. From Texel to South Limburg, Brabant to Friesland. Go and check it out! Hezelstraat is the oldest shopping street in the Netherlands. Start with a delicious cup of coffee at Smaakrijk, get your hair cut at Nozem’s Barbershop, visit the Vinylarchief for some vinyl, eat at Nibbles, and get an ice cream at Prikkels or a cocktail at Demain. And, of course, there are plenty of other unique shops to visit on the same street! As of today, we have our own USE-IT map! It’s a map made by locals! The map is full of tips you can use to explore the city. Recharge your batteries for the upcoming week and leave the busy weekend behind at the Hatertse Vennen. Cotton grass and moor grass blow in the summer breeze and the smell of fresh pine fills the air! If you want to discover new places and find out more about the city in a more quirky way, join the city walk from 7-9pm beginning at Café Goossens, Grote Markt. An enthusiastic guide will show you the best hidden places and share music, poetry, history and art with you! There will be a surprise so join this extraordinary walk and be amazed! You might have seen this but probably never had the opportunity to do it yourself: fly boarding. Standing on a kind of wakeboard you’ll fly above the water and can even make nice movements by moving your feet in different positions. The only things that move you are your feet and waterpower of a jet ski on which you’re attached. 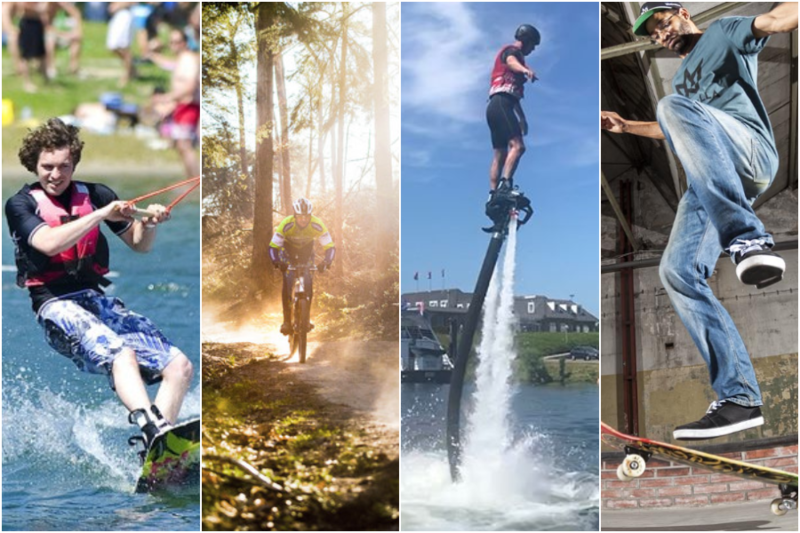 Fly boarding is possible at the Mookerplas, about 15 minutes from Nijmegen. You can always fly higher. Another thing that you’ve probably seen, but never done yourself: parasailing. 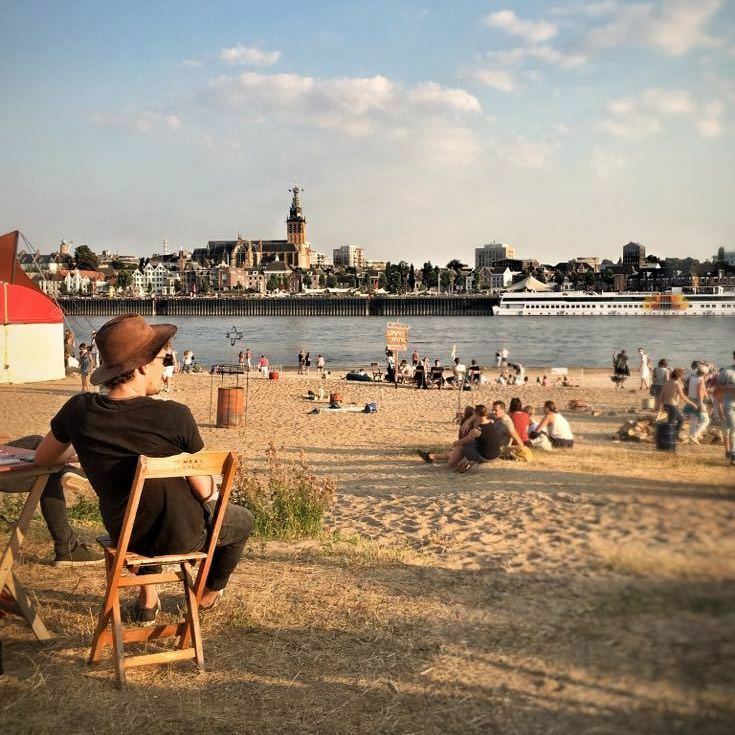 Explore Nijmegen, its old city centre and beautiful nature sceneries while sitting under a parachute. Waalhalla is Europe’s first indoor concrete skatepark, open for skateboard and BMX. This extensive, challenging skatepark is located at the former Nyma factory, at the river Waal. Bring your own skateboard, skates or BMX or rent them here. Ever tried a medium kicker, rainbow slider or flat sliderbox? At the Berendonck, one of Nijmegens swimming lakes, you’ll find a challenging waterski and wakeboard obstacle park. If this sounds too challenging, you can start with an introduction lesson and make use of the cable car. In the bushy area of Nijmegen, Groesbeek, Berg en Dal and Mook you’ll find a few of Hollands greenest and hilly mountain bike trails. These routes guide you through forests with trees in all kind of colors, meadows and fields with French-like sceneries. Our newest Summer Capital Ambassador Nigel Sean needs your help! 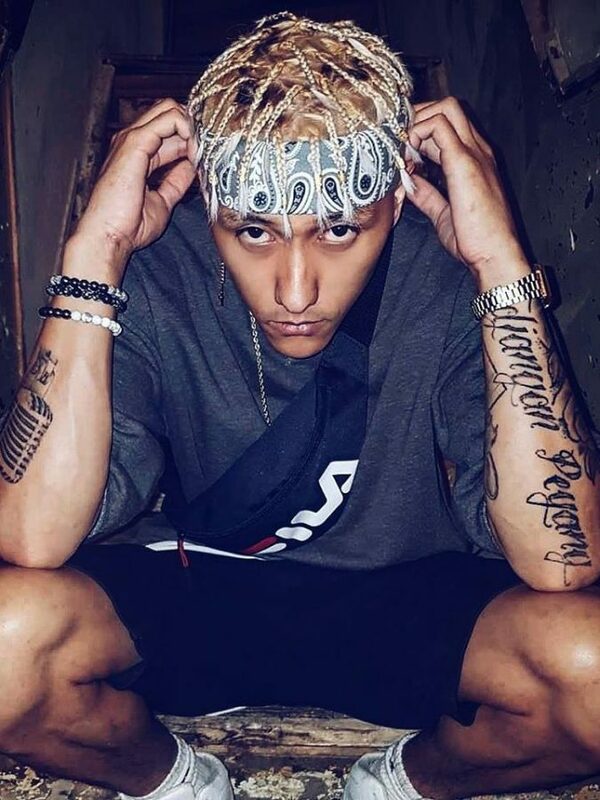 His latest track ‘Beetje Vakantie’ with Jixxx, of which the video has been shot in and around Nijmegen, is almost going viral! Listen (even more) to this sunny and funny track and bring them to the top of the Netherlands Viral Top 50 on Spotify: https://spoti.fi/2NkS7m1. Where will Nigel Sean go this summer? and bustle of the city for a while. — it’s the perfect place to grab a takeaway! THE shop to help keep me on top fashion form. Vintage clothing and a brilliant atmosphere. and my mates usually hang out.